Baby boys black matt baypods t-bar pram shoes, perfect for your baby boys christening day, attending a wedding or simply a special occasion. 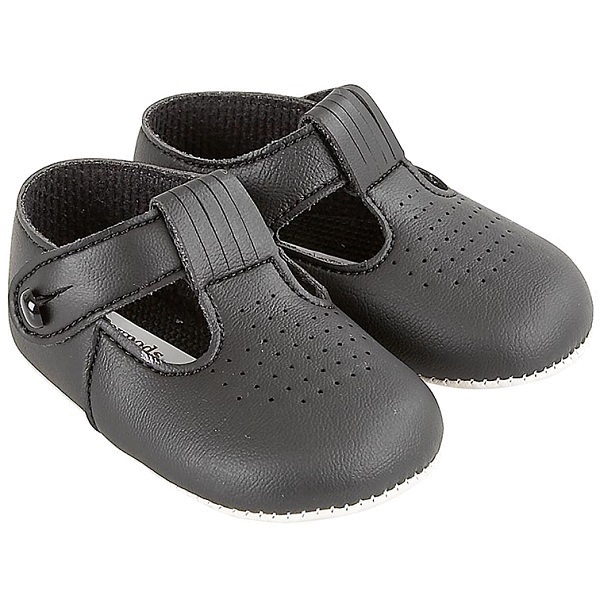 These lovely formal pram shoes are of a plain black matt leather look. They have a hole punch design on the front to add extra detailing with a t-bar shape and a little button fastening to the side, with a soft and flexible sole for pre-walking baby's. Lovely shoes, great quality and fit. Delivery was very quick, delighted with the product.